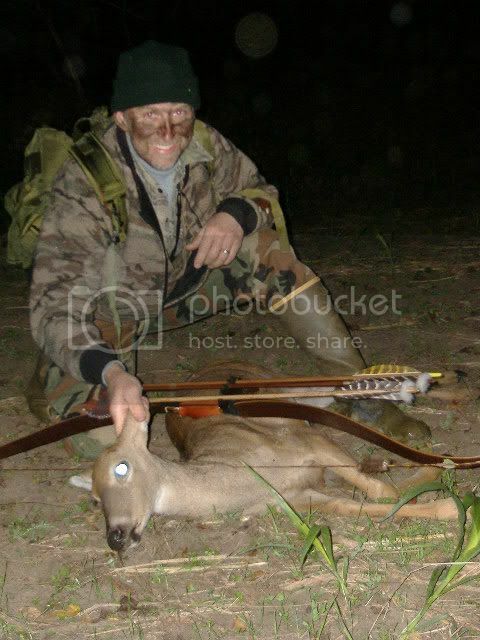 10-9-05 Hickory co Mo,21yds, treestand with Witchdoctor recurve,stone tipped hickory shaft. Good going Timo!! That grin says it all!!! I like them feather chasers. Is this a head that has been used before? Are you going to be able to use it again?